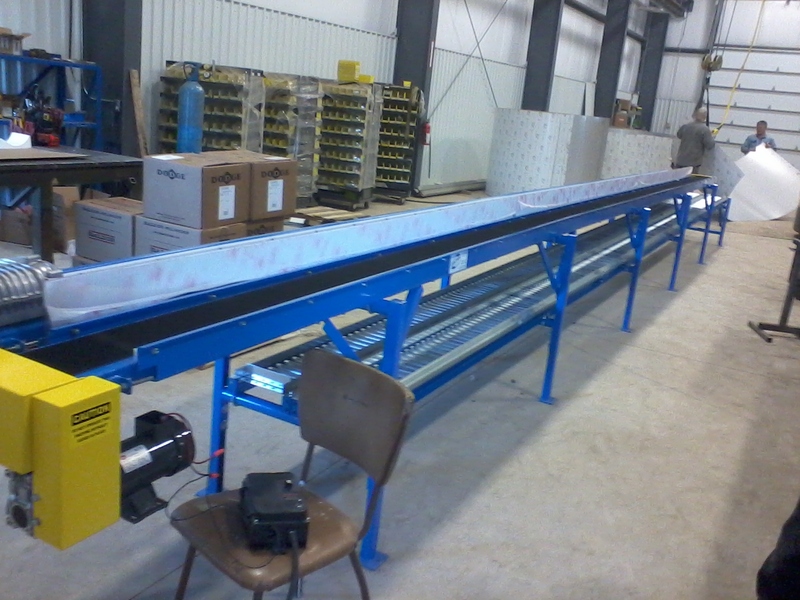 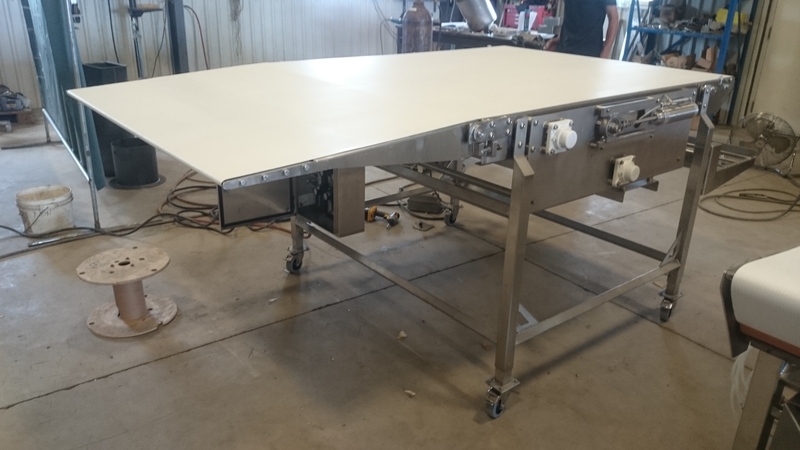 Belt Conveyors - Central Fabricating & Welding manufactures many types of belt conveyors. 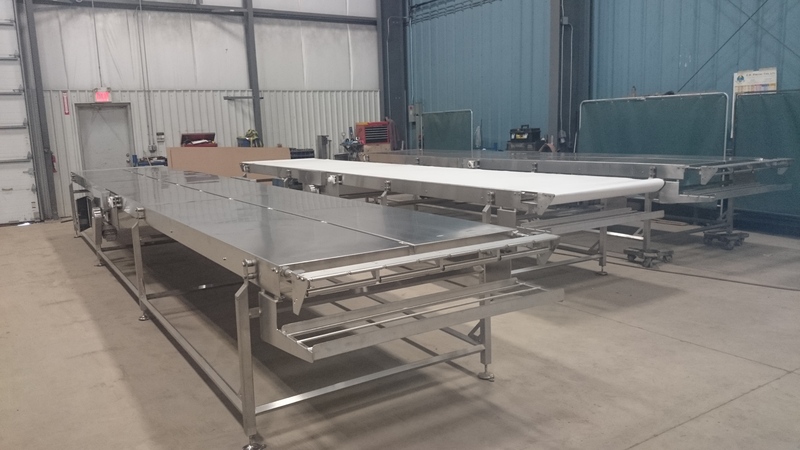 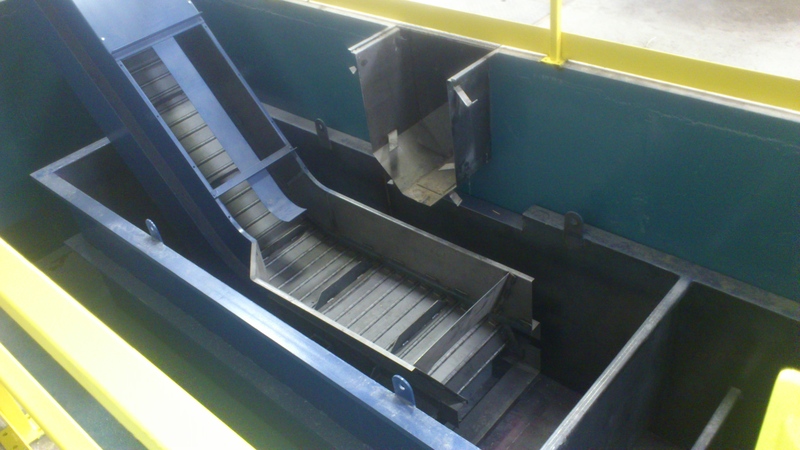 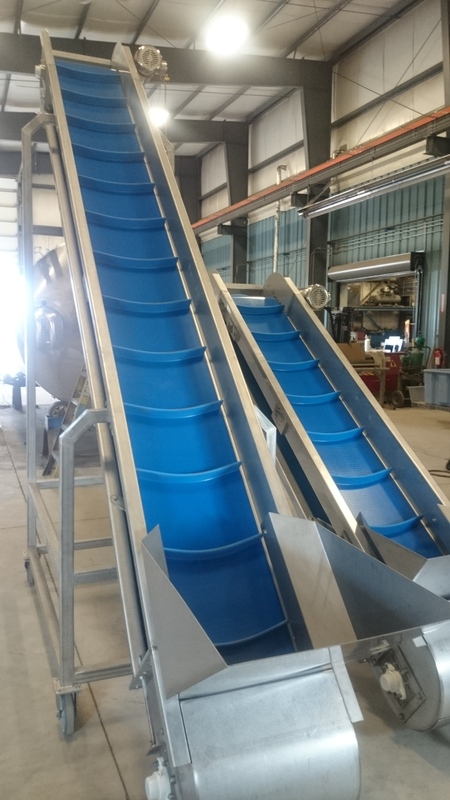 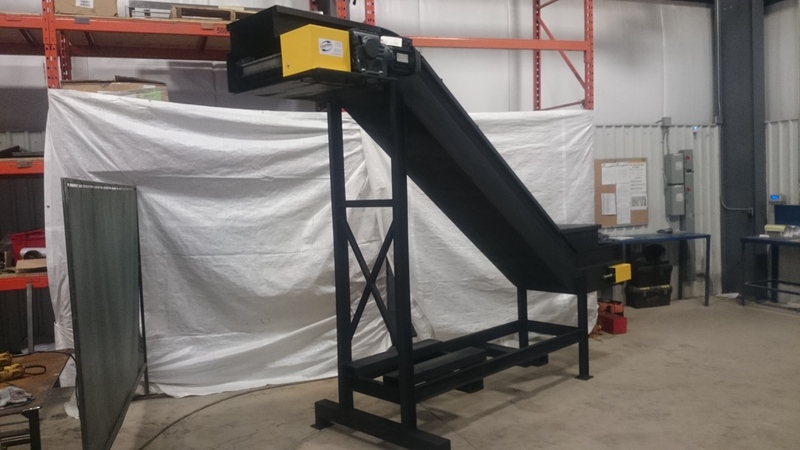 We custom design belt conveyors to suit your application. 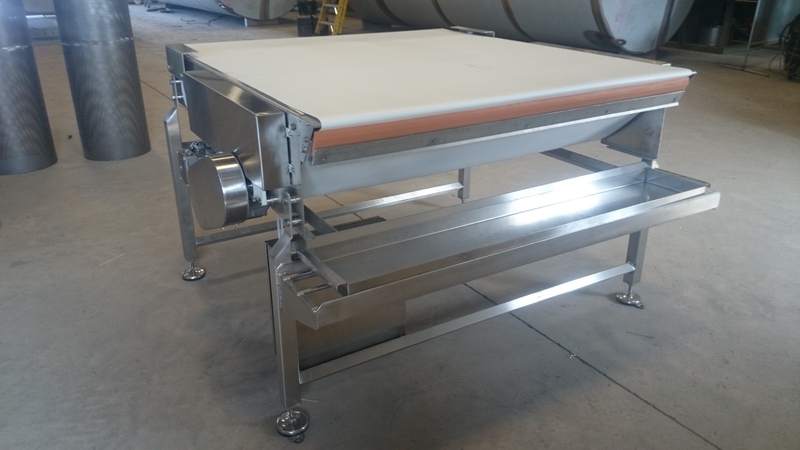 Our designs range from heavy duty automotive applications to full wash down sanitary food processing applications. 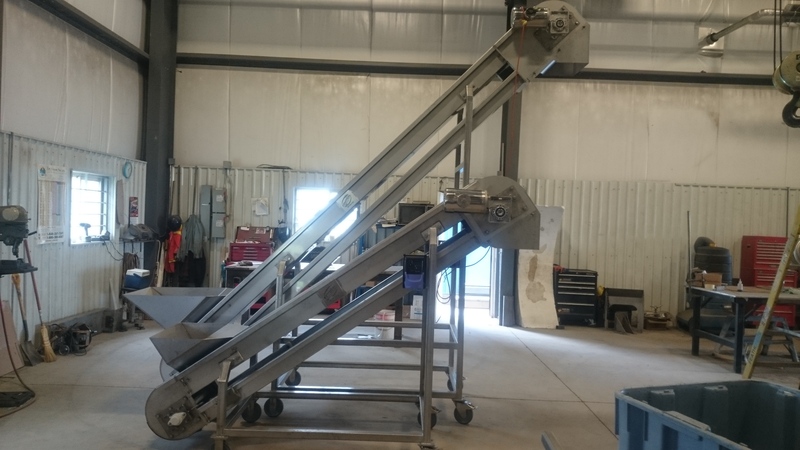 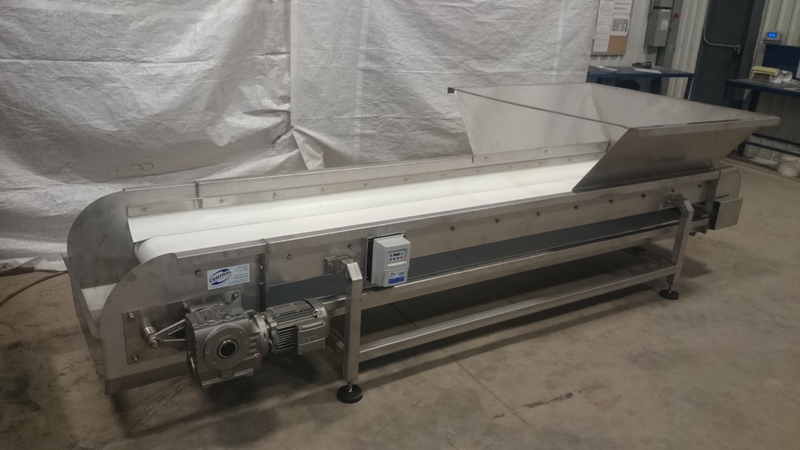 Our belt conveyors have an optional auto tracking feature which is completely pneumatic.